Share the post "Low Calorie Comfort Foods"
It is a well known-fact that during winter our bodies tend to crave significantly more food than any other time of year. As we struggle to ward off the cold, it is the hot, calorie loaded comfort foods that our body in turn starts to seek out. So how exactly do you cope with those cravings while not packing on those added pounds? Here are the best ways to take in all the best comfort foods, without all the excess calories! 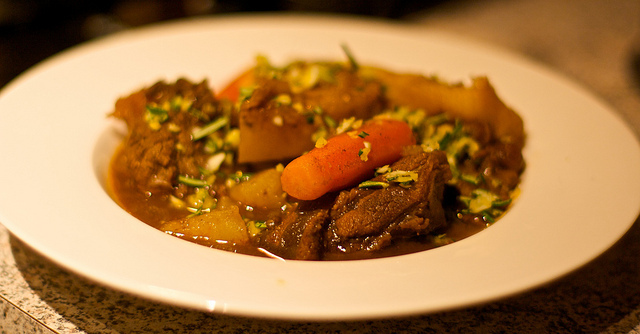 Perhaps the best low-calorie comfort food during the winter is the timeless, beef stew. When you opt for leaner cuts of beef and load it with low calorie vegetables, it is no wonder that beef stew has long been a comfort food staple during the winter months. Packed with protein and all the vitamins and nutrients you want, stew should be your go-to choice for an excellent low-calorie comfort food. Best of all, all you have to do is put all of the ingredients in a crockpot and dinner will be ready and waiting for you when you get home from work after a long-hard day! You can even store extras in the freezer to heat up at your convenience when the comfort food craving kicks in! 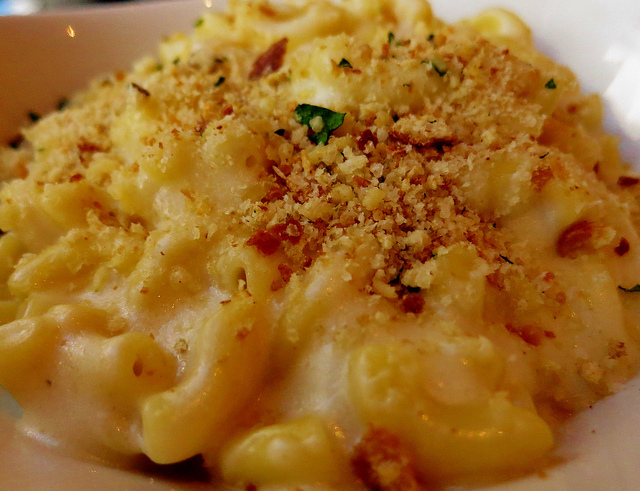 One of the most commonly craved comfort-foods is the ever-famous, macaroni and cheese. However, macaroni and cheese is well-known for being a foe to all diets. Is there possibly a way to cut-down on the calories while taking in all the richness? Absolutely! There are several alternatives to add to your grocery list to cook with that significantly cuts calories. For instance, use vegan cheddar instead of regular, use skim instead of whole milk, use spread instead of butter… All of these are excellent solutions to cut back on those unneeded calories. Additionally, add some steamed broccoli or cauliflower to the mix and fill (and fuel!) your body even more without adding the pounds! Next on the comfort food list, pizza… Loaded with carbs, pizza is one of the quickest ways to cook, eat, and feel guilty. But, for pizza cravings as well, there is a low-calorie solution! To start, it’s important to make the dough yourself, premade store dough is convenient, but also boasts a tremendous amount of fat and calories. Opting to make your own pizza from scratch, saves you a load of extra work-outs come Spring… In addition to adding wheat-flour and yeast to your grocery list, choose organic tomato sauces and mozzarella to top, and tons of veggies. Some great topping options are chicken, red onion, broccoli, red bell pepper, even kale! The winter season can certainly be brutal, especially to your waistline, if you are not careful. But, in taking the time to opt for better food selections, making the comfort foods you crave low-calorie can certainly be an easy thing to accomplish! There are is an abundance of healthy, low-calorie comfort food recipes available with just a quick online search. Get inspired and have fun in the kitchen–your body will certainly thank you for it!